Wouldn’t you like to wake up to this every morning? With the hot dog and pizza at 2 AM a distant memory we were in need of a good breakfast to start our day. 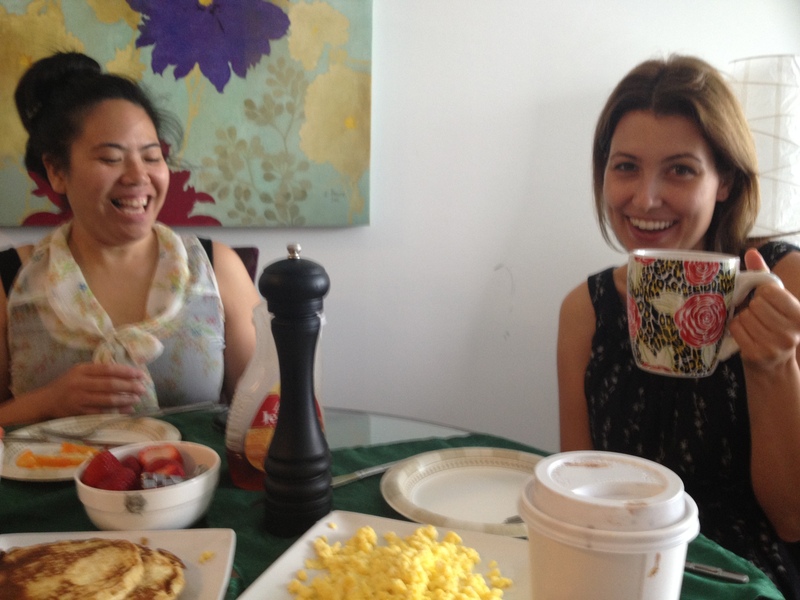 The next morning after our impromptu girls night, we were treated to a homemade breakfast by V the following morning. 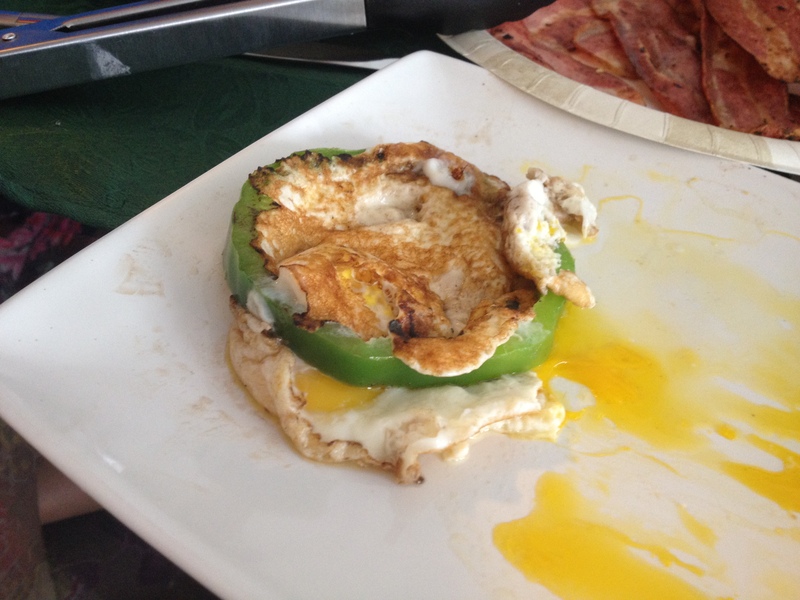 Over Easy Eggs in Bell Pepper Ring – Colourful and Yummy! 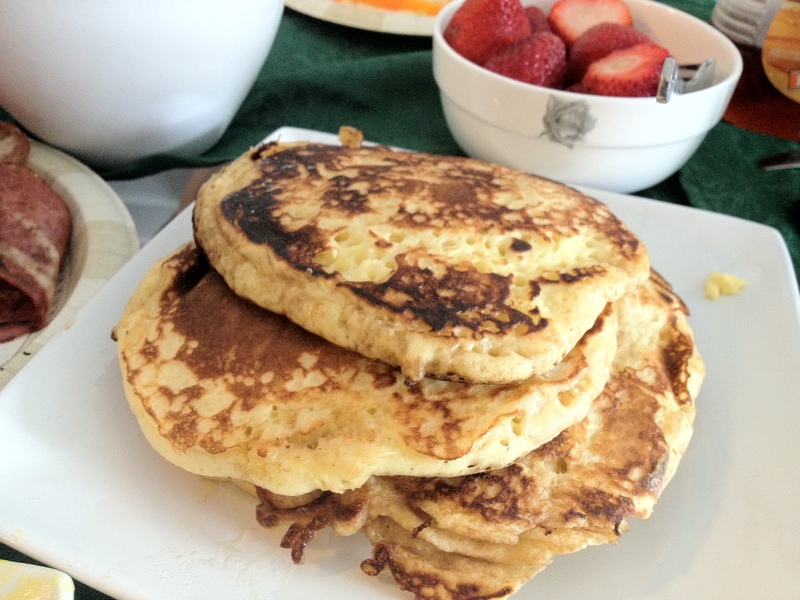 Not only were her pancakes divine but I loved the over easy eggs contained in bell pepper rings. Sooo good! Thanks, V! Previous PostDinner is Served… Now with Waffles! Next PostLet’s Go, Blue Jays! Let’s Go!